Hello and welcome to exampundit. After receiving a lot of queries related to NIACL AO 2019 we have decided to give you a list of NIACL AO 2019 Frequently Asked Questions (FAQs). When will the Online Registration of NIACL AO 2019 start? When is the last date of Registration/Payment of NIACL AO 2019? What is the application fee of NIACL AO 2019? What is the selection Process of NIACL AO Recruitment 2019? How many people will be selected from Prelims Exam of NIACL AO 2019? What is the Minimum Age of NIACL AO 2019? I was born after 1 December, 1997. Can I Apply for NIACL AO 2019? – No. The candidate must not be born later than 01.12.1997. What is the Maximum Age of NIACL AO 2019? I was born before 2 December, 1988. Can I apply for NIACL AO 2019? – No. A candidate must have been born not earlier than 02.12.1988. Where can I find the notification/application link? Do you need any percentage in Graduation for NIACL AO Recruitment 2019? I do not have 60% in graduation but I have 60% in Post-Graduation/Masters Degree, can I Apply for NIACL AO 2019? – Yes. They have mentioned, A candidate must possess the minimum qualification of a graduate/post graduate in any discipline from a recognised University or any equivalent qualification recognised as such by Central Government with at least 60% marks in either of the degree examination for General candidates and at least 55% marks for SC/ST/PwBD candidates. 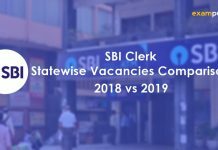 I am a B.Com/B.Sc/BA/BBA Graduate, can I apply for NIACL AO Recruitment 2019? – Yes. A Degree (Graduation) in any discipline from a University recognised by the Govt. Of India or any equivalent qualification recognized as such by the Central Government. 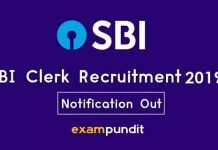 Can I use the same Hand Written Declaration used for IBPS PO/Clerk in NIACL AO 2019 Application? – Yes. The format can be found from here. What is the text for the hand written declaration in NIACL AO Recruitment Application 2019? In which language I need to write the declaration for NIACL AO Recruitment 2019? – The above mentioned hand written declaration has to be in the candidate’s hand writing and in English only. When will the NIACL AO Preliminary Exam 2019 be conducted? When will the NIACL AO Preliminary Exam 2019 result come out? When will the NIACL AO Mains Exam 2019 be held? When will NIACL AO 2019 Main Exam Result come out? 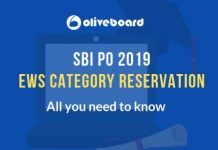 What is the NIACL AO 2019 Prelims Exam Format? 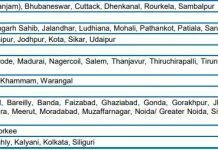 What is the time duration of NIACL AO 2019 Prelims? – 1 Hour. 20 Minutes Each for Every Section. Is there Sectional Timing in NIACL AO Prelims 2019? – Yes. 20 Minutes each. What is the Time Duration of NIACL AO Mains 2019 Exam? – 2 Hours Time Duration. How will NIACL AO Descriptive Test be conducted? Is there Sectional Timing in NIACL AO Mains 2019? 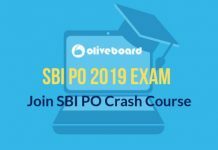 Is the NIACL AO 2019 Exam similar to Banking Exams? – Yes. But general awareness will have little bit of Insurance Awareness. What is the exam pattern of NIACL AO 2019 Mains Exam? Is there Descriptive Test in NIACL AO 2019 Mains? Will my Descriptive Marks in NIACL AO Mains 2019 be counted? – No. 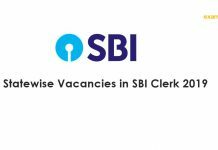 A candidate shall be required to qualify in the descriptive test, but the marks in the descriptive test will not be counted towards short listing for interview or final selection. Is there any Sectional Cut-off in NIACL AO 2019 Prelims Exam? Is there any Sectional Cut-off in NIACL AO 2019 Mains Exam? Did we miss your query? Add in the comment section!